Discussion in 'Cloud Chaser' started by KingPin!, Jul 22, 2017. What's the biggest densist cloud chuckers out there? My Reload clone with a pair of raymo2u's aliens at 50 watts will chuck a pretty good fog. It would do better, but my decreased lung capacity and intense dislike of a lot of heat keeps me from running it hotter. This payday I'm gonna see about getting another pair of SS aliens for my Eurus rda. I love those raymo coils. They're better than anything I could ever make myself. They mean the difference between a so-so vape and awesome. gakudzu, Anthony_Vapes and KingPin! like this. 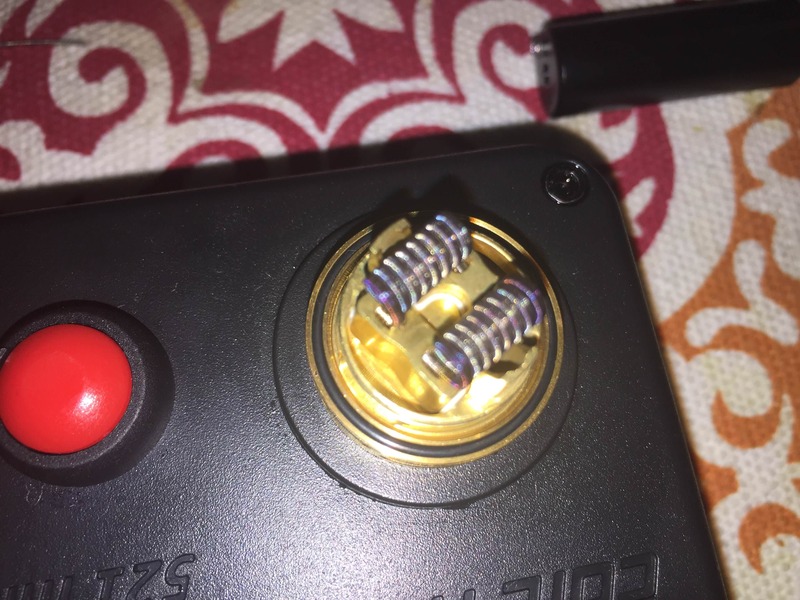 Aliens rock mate prefer framed staples myself takes the flavour to the next level! reflex99, Michael Worthington, gakudzu and 1 other person like this. Fasttech goofed and sent me a Desire Rabies for no reason. I like a more restricted hit but when life gives you a cloudsbro atomizer you make clouds. Airflow is barely adjustable so you'd better like clouds if you want any sort of good experience out of it. I like that it is bottom-ish airflow but without the ease of leaking like normal bottom air designs. From pictures the Mad Dog also by Desire is almost identical. 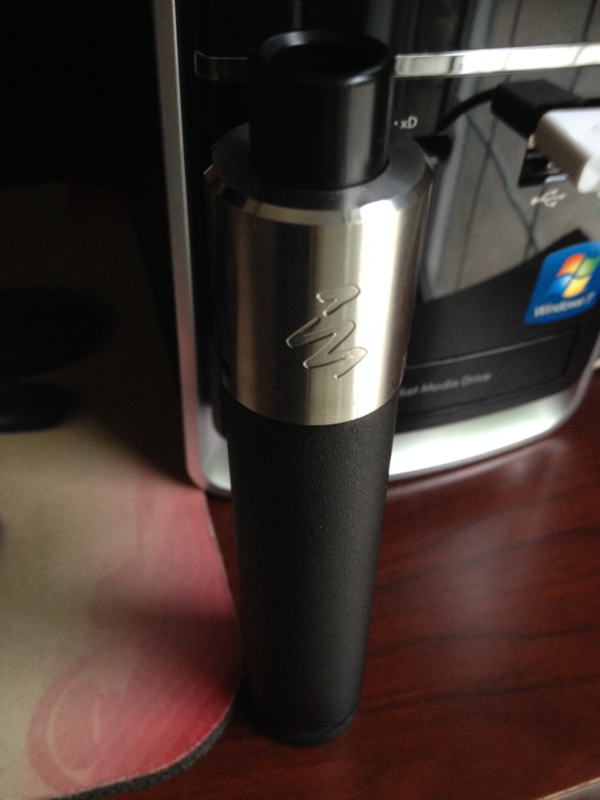 The Rabies has raised outer terminals though which I really like as it makes wicking (and building sorta) SO EASY. Michael Worthington and KingPin! like this. In my opinion, if the mad dog had the build deck of the rabies, it would be perfect for me. I wouldn't even look at another rda...dual ncoil at least. My Geekvape Medusa Reborn is supposed to mbe here monday and it's got the same post configuration as the rabies. I'm grittin' my teeth waitin' on it! Never took the plunge on the reborn was going to because it had the squonk capability on it but then I got the turbo RDTA mate game changer !!! I got me some 26g ss316 wire coming from Kidney Puncher too s'posed to be here Monday as well. I screwed up. I didn't order Cotton Bacon while I was ordering - I was gonna buy it local, then when I went after it today, it was sold out. I did catch one vape shop that didn't sell the big bags, but they had the Bacon Bits - little bags of 2 pcs CB that they include with juice purchases. She PIFed me one of them till I can buy some. With a little luck, I'll be vaping on both my Reload and my Eurus tonight! Hold onto that thought mate @ParaTech wasnt it you who had the deal on cotton bacon mate? I wanted the Medusa as soon as I saw Anthony's review on it and that's what I would have ordered if MyVaporStore hadn't been out of them. It was on their site for $16. Anthony was giving it huge props for flavor and ease of building and wicking and I like easy! I bought the Reborn instead for $25. I like the idea of a dripper with 3.5ml capacity and the staggered deck will be as easy as the velocity to buil on. It's like the Reborn has all the improvements I wished for on the original Medusa...replaceable goon-style driptip, more capacity, and easier filling once wicked up. I'm really looking forward to it. I hear you. I probably would have disliked that very thing had I bought one. I'm glad Geekvape made the changes. I think I'll like the Reborn. Next month I gotta get me a good single coil rda. I need one I can run a massive 3mm coil. It's only 4 wraps, but each wrap is about 3mm wide making the coil almost 14mm! I had the Govad in the shopping cart and swapped it for the Medusa. I saw that. I'll try this little bit I've got, and if it works out, I'll order a pack or 3.